← DogDaz Zoo: Lulu’s Doing Great! 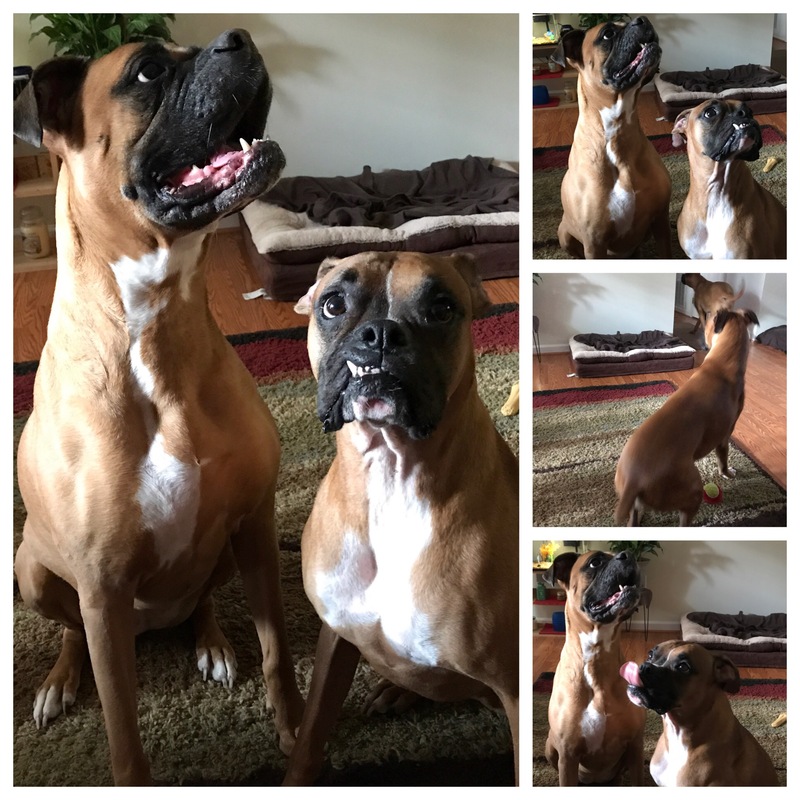 Mom visited our friends Pickles (mastiff/boxer) and Gerkins (boxer). Everyone thinks Gerky is Pickles’ pup, but he isn’t. BTW their cat’s name is Kimchi.